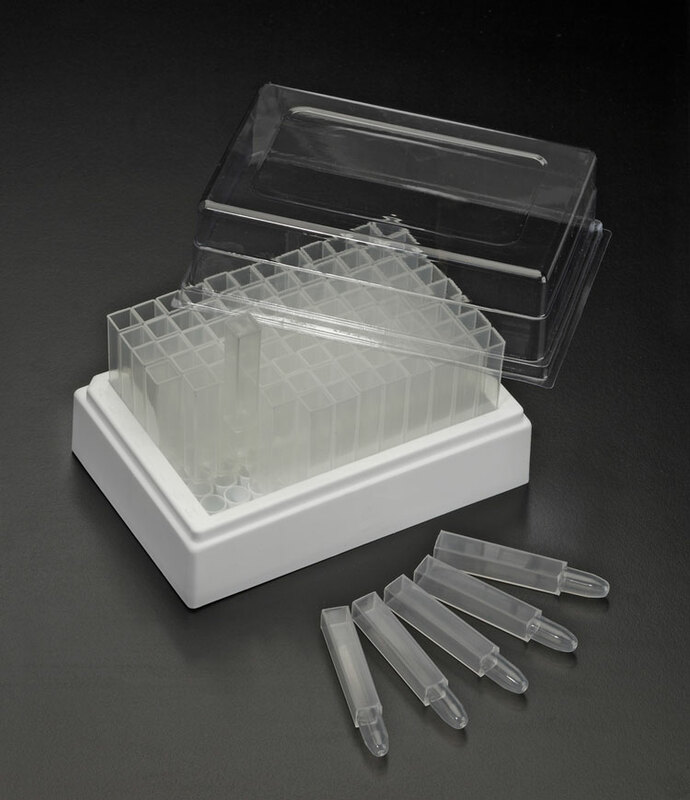 The AWLS-T105 storage rack conforms to ANSI/SLAS standards and contains 96 square well tubes with conical bottoms. The tubes have a 2.1mL capacity (2.0 mL when capped). The racks are stackable and can be stored at temperatures from -170°C to 121°C.